The rematch of the 2009 AFC Championship game pits Rex Ryan's Jets against Jim Caldwell's Colts in the first round of the NFL Playoffs. The Colts' and Jets' head coaches are completely contrasting in style as the brash Ryan is as outspoken as any other coach in the league while Jim Caldwell appears so silent that many people may not even know his name. The difference in coaching styles is similar to the difference in playing styles. The Indianapolis Colts are often referred to as Peyton Manning's team instead of Jim Caldwell's team. 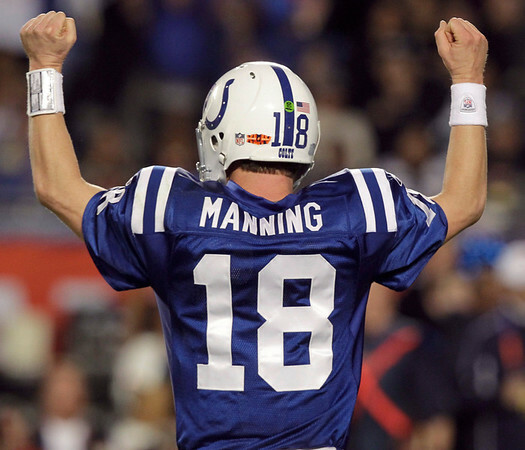 Manning is the focal point of the Colts' offense that relies on his arm strength and accuracy to put points on the board. The 12 year veteran is the two time reigning NFL MVP and has overcome an array of injuries this season to drag his team into the playoffs. The Quarterback on the other side of the field pales in comparison to Manning. Mark Sanchez has been asked to carry more of the offensive load for the Jets this season and hasn't really proven his capability. Sanchez is nowhere near an elite quarterback and his team is only in the playoffs because of the extraordinary play of the defense. The Jets are a run first team that will try to blow the Colts off the ball and take advantage of a historically poor Colts rush defense. The Jets game-plan may not be as successful as they expect as the Colts have stiffened up against the run in recent weeks shutting down the likes of Chris Johnson, Darren McFadden and Maurice Jones-Drew. 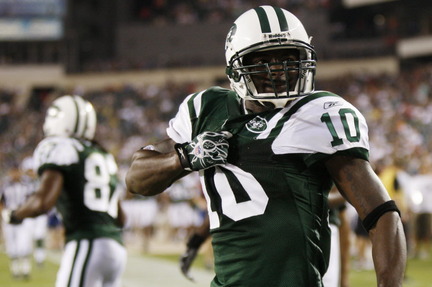 The Jets will hope that their duo of Ladanian Tomlinson and Shonn Greene can change that trend. Tomlinson and Greene will need to perform like they did early in the season as neither player has gone over 100 yards since week 4 when both players managed the feat. Tomlinson and Greene's carries have wained since that game as they both average roughly 12 carries per game with diminished production. Stuffing the run will be a key issue for the Colts in order to unleash their pass rushers on Sanchez. Defensive ends Dwight Freeney and Robert Mathis have once again been voted to the Pro Bowl this season after Freeney notched up 10 sacks and 5 forced fumbles while Mathis added another 11 sacks with 1 forced fumble. The Colts should not be susceptible to the deep threat of Santonio Holmes and Braylon Edwards because Sanchez will not have the time to throw because of Freeney and Mathis. This makes Tight End Dustin Keller ever more valuable to Sanchez along with Holmes ability to turn a 5 yard slant into a 50 yard touchdown. Things should be a little less frantic when Peyton Manning is taking snaps from under center. Manning's precision and awareness allows him to unlock even the most complex of defensive schemes. Manning may not be able to look to his favorite target, Reggie Wayne, as Darelle Revis is likely to shadow him throughout the game. In their last matchup Wayne had an admirable performance catching 3 balls for 55 yards in the face of one of Revis. Revis is regarded by many members of the media as the best cornerback in the league but Wayne's route running should allow him to get free from his 60 minute stalker. Wayne will need to be a factor in this game as the Colts are banged up on offense worse than they are on defense. The Colts are missing three of Manning's first four receivers in Austin Collie, Anthony Gonzalez and Dallas Clark(TE). Manning must now work with his third choice Tight End, Brody Eldridge, and fourth choice receiver, Pierre Garcon, as starters. The offense around Manning has been slowly crumbling as the offensive line play in pass protection began to slacken off into the second half of the season. However the Colts did begin to run the ball more in recent weeks to better effect. The team ranks 29th in rushing in the league but has been without Joseph Addai for long periods. Addai's return should help both the running game and the 1st ranked passing game during their playoff run. Addai is an all around back who can run the ball, catch it out of the backfield and block expertly. Manning will be thankful to have one of his first choice weapons back at such a crucial stage in the season and it is just another reason to think that the Colts will win this game. The Colts may be beaten up all over their roster but Peyton Manning's advantage in class over Mark Sanchez should be the difference in this game. Sanchez's time to shine is definitely now but the Colts don't care about timing, well unless you're Peyton Manning looking for your receivers.